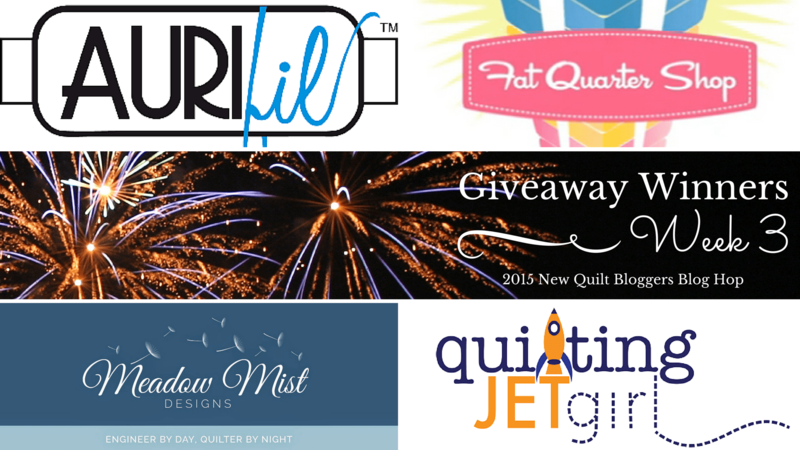 Thanks again to our generous Week 3 sponsors of the 2015 New Quilt Bloggers Blog Hop: Aurifil, The Fat Quarter Shop, Meadow Mist Designs, and Quilting Jetgirl. Below is a recap of all the wonderful posts from Week 3. Please come back and visit tomorrow as we kick off the final week of the blog hop and one last chance to enter to win!